Hyundai i10 Performance, Engine, Ride, Handling | What Car? Two petrol engines are available: a 1.0-litre three-cylinder and a 1.2-litre four-cylinder. The 1.0’s snappy throttle response is great for zipping away from the lights in town. It does, however, start to feel out of its depth as the speeds rise on motorways or even fast A-roads. The livelier 1.2 is fine on any road thanks to a reasonable amount of mid-range puff. 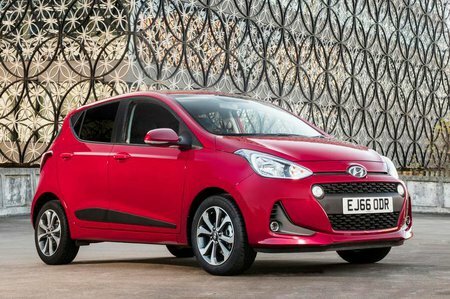 That said, it still needs a thrashing to hang onto the coattails of a Kia Picanto, despite having exactly the same 1.2 engine. You have to opt for the 1.2 if you want an automatic gearbox because the 1.0 is manual-only. The i10's suspension is forgiving enough to cope with all but the sharpest of potholes. In fact, around town, the ride is actually very settled – by city car standards, at least. However, there is quite a lot of bounce over high-speed undulations, which can be a bit unnerving along bucking country roads. The rival VW Up (and its near-identical Skoda Citigo and Seat Mii siblings) feels altogether better tied down and less floaty. The i10 isn't as fun to drive as some city cars, including the VW Up and Skoda Citigo, and that's largely down to the steering. It's rather vague and overly keen to self-centre, which doesn't inspire much confidence on faster, twisting roads. However, it’s light enough to make parking easy, and there’s ultimately plenty of grip when you want to get a bit more of a move on. 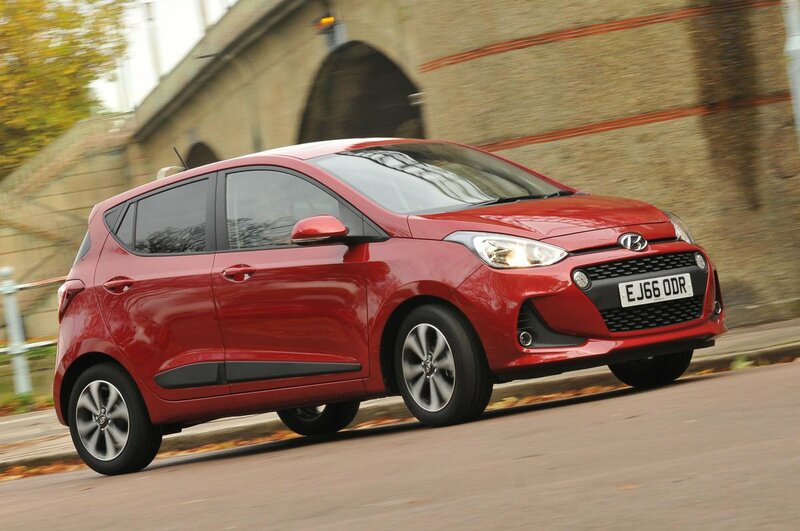 Unlike some rivals, the i10 also feels stable at high speeds; it isn't affected too badly by crosswinds on the motorway. The 1.0-litre engine is exceptionally hushed for a three-cylinder. In fact, it’s actually quieter than the four-cylinder 1.2 much of the time. 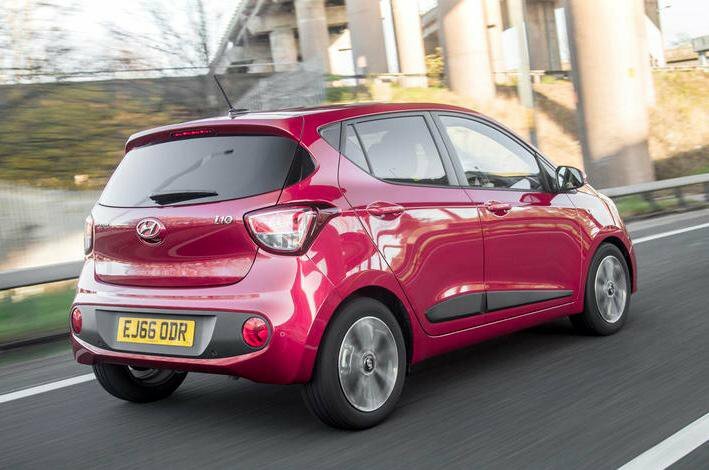 By city car standards, the i10 is also brilliant at shutting out wind and road noise. The only slight disappointment is that the five-speed manual gearbox isn’t quite as slick as the one used in both the Skoda Citigo and VW Up. The optional four-speed automatic changes gear quite slowly, so you’re well aware of the pause in momentum if you’re accelerating hard, but in laid-back use it’s smooth enough. In fact, it’s the best automatic in this class.